Acupuncture Pain Nottingham - looking for relief? Are you looking for acupuncture? Based in Bramcote near Nottingham, The Acupuncture Pain Centre specialises in providing you with complementary healthcare to help diagnosed painful conditions, whether internal or external and whether recent or long term. Although treatment is largely based around acupuncture, you may also be offered dietary/nutritional/lifestyle advice. Each person will be treated differently. All pain relief work at the Acupuncture Centre (Nottingham) is carried out to the highest standards by Martin Dean who is a member of the British Acupuncture Council. 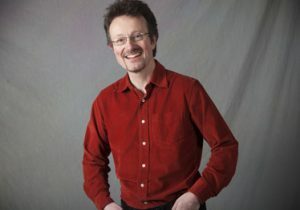 Martin has over 23 years of practitioner experience and was a lecturer in acupuncture for the University of Lincoln for ten years. Although he is experienced in treating a wide range of conditions, he takes a special interest in male and female fertility issues. He also practices comfortable needling technique, and is a keen advocate of Tai Chi Ch’uan for maintaining health and understanding how the body really moves. Acupuncture is a tried and tested system of traditional medicine, which has been used in China and other eastern cultures for thousands of years. It is known to restore, promote and maintain good health. The treatment is widely considered to be beneficial for a range of symptoms resulting from illness, from clearly defined complaints or to improve general feelings of wellbeing and help with relaxation. Thank you Martin Dean for your electro-acupuncture treatment. I have travelled far and wide looking for this treatment. I can honestly say that I have felt so much better with acupuncture than without, to this day I always wonder how I managed before treatment. I contacted Martin for some treatment on my lower back problems. From my initial contact Martin explained everything. I will be making appointments for further treatment from Martin in the future, and would have no hesitation in recommending the services he provides to friends and family. Will definitely recommend you to any one! Acupuncture did work for us! Thank you once again ! Will definitely recommend you to any one !!! My symptoms have gone and also another injury has substantially improved. My experience was very positive, relaxing and most importantly it worked! I was at my wits ends and was ready to give up! I had never tried it before and so thought I would try my chances. For anyone in doubt I would say go and try it you have nothing to lose and everything to gain. I never ever thought I’d work again! Treatment so far has shown a great improvement. And all being well should lead to a successful conclusion. We have recommended Martin to friends and were very pleased. Health is precious and good value. We chose Martin because he was close at hand and was very welcoming and approachable with my illness. We recommend you consult a registered medical practitioner before commencing a course of acupuncture. Please also mention your intention to start acupuncture treatment with us.